Goodreads says, "For years, rumors of the "Marsh Girl" have haunted Barkley Cove, a quiet town on the North Carolina coast. She's barefoot and wild; unfit for polite society. So in late 1969, when handsome Chase Andrews is found dead, the locals immediately suspect Kya Clark. But Kya is not what they say. Abandoned at age ten, she has survived on her own in the marsh that she calls home. A born naturalist with just one day of school, she takes life lessons from the land, learning from the false signals of fireflies the real way of this world. But while she could have lived in solitude forever, the time comes when she yearns to be touched and loved. Drawn to two young men from town, who are each intrigued by her wild beauty, Kya opens herself to a new and startling world--until the unthinkable happens." Kya grew up on the marsh in North Carolina in the 1950s and one day her mom leaves and doesn't come back. Kya is left with her drunk of a father and her siblings who are older and are slowly leaving one by one. As time goes on, Kya finds herself alone out on the marshes and having to fend for herself. The one constant in her life is her beautiful surrounding of the North Carolina marsh. Instead of spending her days at school, Kya finds herself studying the birds, the tides, and her other aspects of nature. Time continues on and she befriends Tate Walker who teaches her to read, but once he goes off to college she finds herself alone again. The narration alternates with a 1969 with murder investigation. Someone has died out on the marsh and we find out it is Chase Andrews. He was the town's golden child and star quarterback. Readers slowly find out that Kya somehow had a relationship with Chase at one point and during the investigations many hands are pointing to Kya, the "crazy" mash girl and wild child. Where the Crawdads Sing by Delia Owens has surprisingly many aspects to it that somehow work. 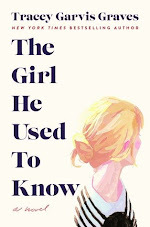 There's romance, a coming-of-age tale, a survival story, and even a murder mystery that kept me completely entertained. Kya is the type of character that your heart immediately goes out to in Where the Crawdads Sing. She is abandoned not once, but twice and is living alone out on the marsh. How could your heart not break for her? 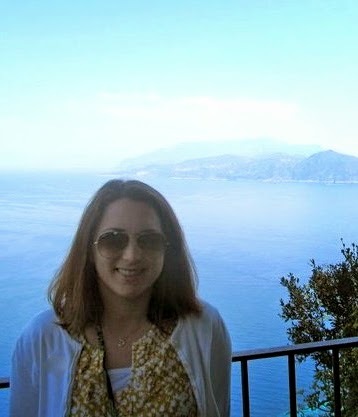 She makes the best of her situation by finding solace in nature and learning about her world. She collects shells, feathers, and other things to entertain herself. Slowly she branches out socially to both Tate and Chase, but their stories are complicated. The murder mystery aspect of Where the Crawdads Sing definitely left me on the edge of my seat along with the events that ensue including the trail. Readers just want things to go simply for Kya for once, especially since she survived her atrocious childhood, but the death of Chase Andrews really complicates things. What stood out to me was Owens's descriptions of nature, the birds, the tides, the sun, and the other marsh animals in Where the Crawdads Sing. I found out that Owens wrote many non-fiction books on this very topic as she is a scientist, so it was very apparent that this is where she truly shines. She brought the marsh to life for me and really painted quite a beautiful picture with her memorable descriptions. I'm glad I listened to this audio book as it was very well done. The narrator was Cassandra Campbell and she brought Kya's accent and the eloquent descriptions of nature to life. 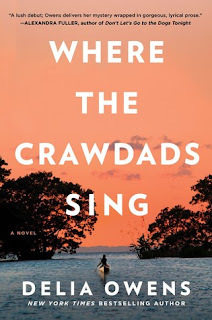 Where the Crawdads Sing is a fantastic debut and especially perfect for readers that appreciate nature and a coastal setting. Have you read this book? Let me know your thoughts in the comments below. I hope you enjoy it, Lynne! Thanks for dropping by! I love the outdoors, so I feel like I could really get into this setting!